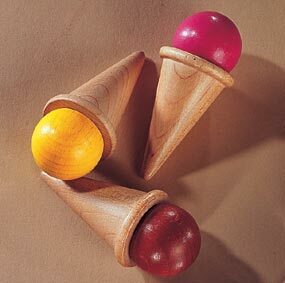 Chocolate, strawberry and vanilla wooden ice cream cones for kitchen or market play. European beech painted with non-toxic paint. Measures 3" long.